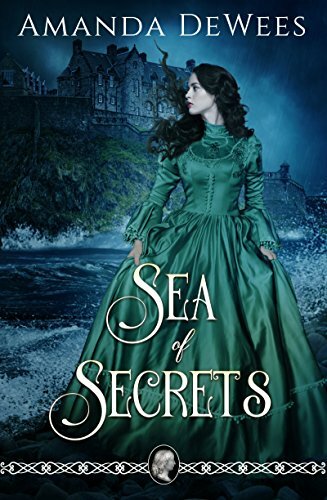 about this book: “Sea of Secrets” is an old-school gothic romance set in England in 1855, with an innocent, spunky heroine; a brooding, handsome hero; and a setting that’s both lavish and foreboding. Readers will be caught up in the adventures of young Oriel Pembroke as she travels to a remote estate and tries to unearth the secrets there that threaten the sanity—and the life—of the man she quickly grows to love. I grew up loving the gothic romances by authors like Barbara Michaels, Victoria Holt, and Daphne du Maurier—there’s nothing like escaping to another time and place, especially when it’s a world of suspense, romance, and danger. I had a lot of other influences when I wrote “Sea of Secrets,” ranging from Charlotte Bronte to Shakespeare to Bram Stoker to classic Hollywood films. One reviewer said that “the only way this book could have been better was to have read it on a rainy day, in an overstuffed chair, warmed by a cozy fire.” That’s exactly the kind of reading experience I want to give my readers!